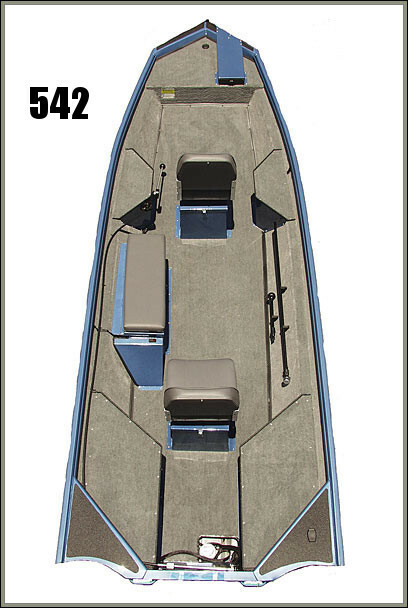 Available in 15-foot, 16-foot and 17-foot models, the VS is a pure fishing boat. All VS models come with stick steering, which is ideal for people who fish alone. 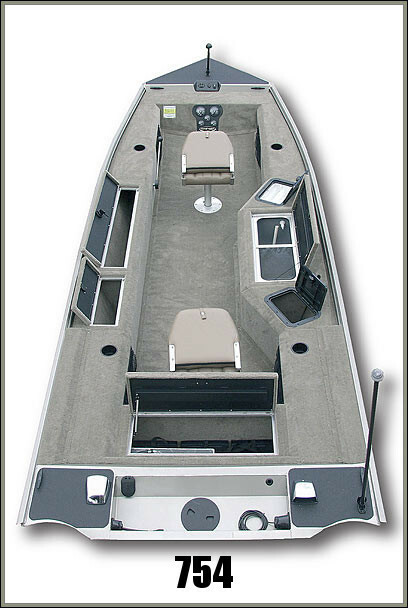 Front passenger can easily drive both the engine and trolling motor without ever leaving your seat. VS models come packaged with an impressive list of standard equipment. However, standard equipment varies greatly between models. The 754VS is our best selling stick steering model. 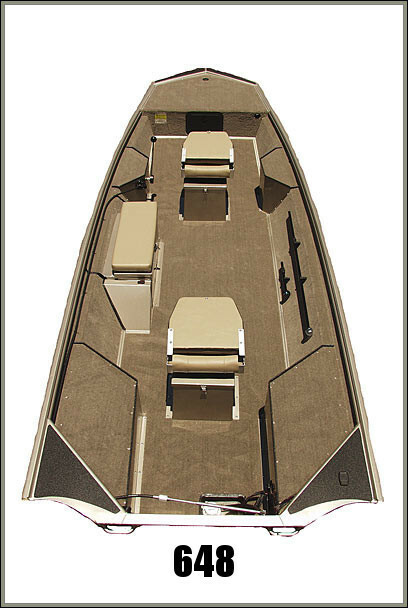 Standard equipment includes: a divided livewell (68 quarts), tackle tray storage; drink holders, two fishing seats and a rod box that accommodates rods up to 7 ½ feet. This model allows for two people to fish very comfortably. The 754VS has a built-in 14-gallon fuel tank.